Just over 250 years ago, Charles Mackintosh was born in Glasgow, Scotland. Today, his surname is colloquially used to describe a raincoat thanks to his ingenuity. Made in England, Mackintosh’s beauty is in its simplicity. 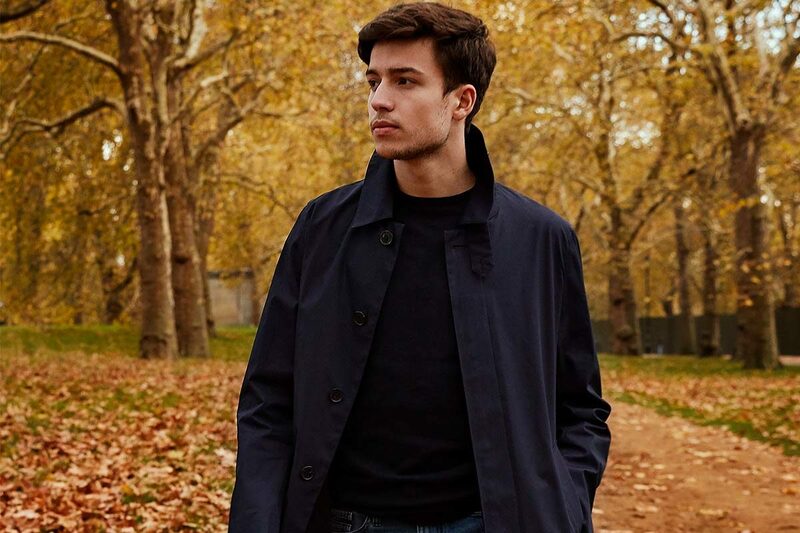 Mackintosh's rubberised cotton waterproof coat (£645) is proof of the heritage label's outerwear expertise. The entire world owes a great deal to Charles Mackintosh and his ingenuity. Born in Glasgow in 1766, his life coincided with the early years of the industrial evolution and the young Glaswegian, spurred on by his city’s role in industry, developed a keen interest in the sciences, specifically in Chemistry. As such, he spent the majority of his adult life experimenting, eager to write his name in the history books, however it wasn’t until he was of a mature age in 1823 that his defining moment came to be. Inspired by another fellow inventor James Syme, who profoundly waterproofed woven cotton using naphtha (which is a byproduct of tar) for academic purposes, Mackintosh saw the potential in this material and applied his brain to it with clothing in mind. He patented his creation and in doing so cemented his legend. Today, the simple abbreviation of his name is colloquially used to describe a single-breasted raincoat that has become a sartorial icon and wardrobe staple. However, it would take the most part of two centuries for it to take hold. From Glasgow, Mackintosh headed south, and took his idea to Manchester — which was at the time one of the most important industrial cities in the world, specifically for being at the forefront of cotton garment making — where Mackintosh met fellow creator Thomas Hancock. Hancock was also at the cutting edge of fabric innovation and the two merged companies. In doing so, they streamlined the way in which woven cottons were waterproofed, using a rubber solution that was spread all over the natural fabric between the two layers. Thanks to the performance benefits of such a fabric, Mackintosh-made wares were common sights on the likes of labourers, who needed clothing to perform their jobs in when the weather was unsightly. It was also worn by officers in both world wars and was once the official British Rail overcoat. Charles Mackintosh died in 1846, and throughout the later stages of the 19th century and much of the 20th, the business managed to continue to evolve without him. Nevertheless, it became a household and must-have name in Britain. Manufacturing moved back to Scotland, settling in Cumbernauld, North Lanarkshire, in the 1960s and continued to manufacture for other labels, including major fashion houses such as Louis Vuitton and Hermès. As the 20th century came to a close, it was struggling and in serious need of a new lease of life. Mackintosh is best-known for its single-breasted raincoat which is without question a sartorial staple, one that if you don’t already own, you should seriously start thinking about, as you can never go wrong wearing one and it can be worn all year round. 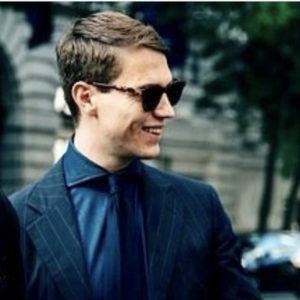 Aside from its technical proficiencies, the coat itself is relatively slim fitting, which complements the wearer but not too much so that it can’t accommodate a suit beneath (sizing up is not a bad idea). It’s usually fabricated in a single block colour, which means that it’s not a statement piece that commands attention. It’s also devoid of intricate finishings and details, thanks to its hidden placket, meaning it’s incredibly easy to wear and can cloak just about anything beneath in an effortless manner. We have it in wool, which is better suited to autumn and winter when layered properly, and cotton, which is better suited to spring and summer. However, Mackintosh hasn't stopped creating at the raincoat, and since being underneath the stewardship of Dunko, it’s broadened its range significantly. We’re particularly into the quilted down jacket, which is a fine choice for when the temperature really drops. It comes in two very versatile colours, being navy and a grey.